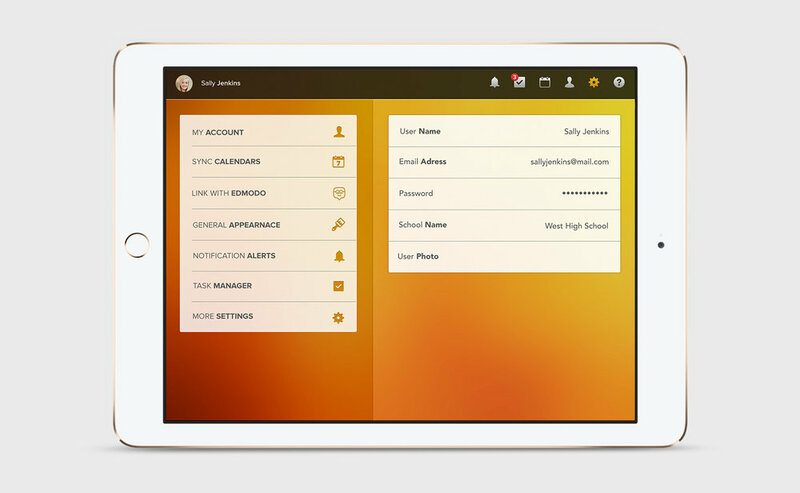 The Primus Planner App, a design for Education Simplified in 2014 allows for easier communication between students and teachers. 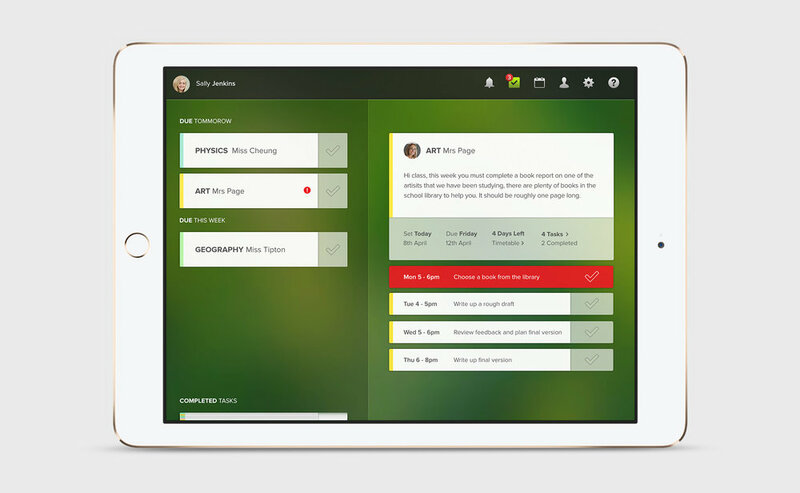 Teachers can set homework tasks online through various education platforms, and students will be notified via the app. Education Simplified wanted an app that was immersive without looking 'childish' as the main audience is students in high school. It needed a clear structure and design that's beautiful and engaging, so students will want to use it. 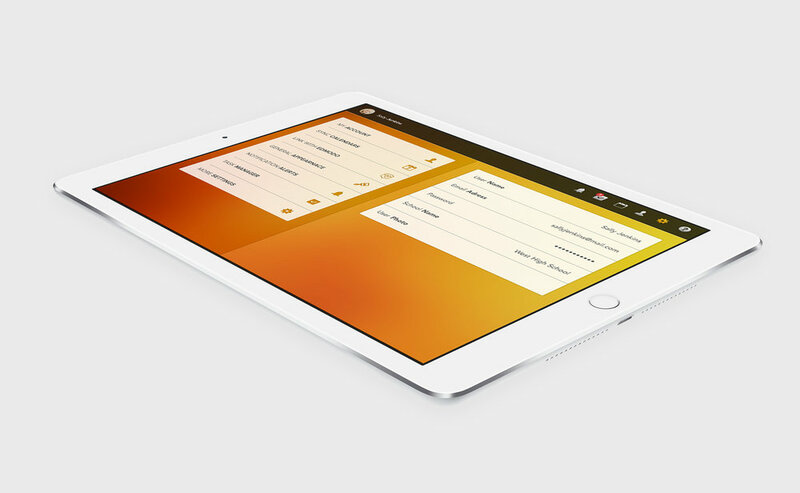 The main structure of the app is based on a simple navigation panel across the top of every page. Users can tap the icons to switch pages and view different information. Each page has a distinct coloured background making it easy for users to distinguish between content. Cards are used throughout the app to display information; this means users are not overwhelmed with content and everything is displayed in a neat, manageable snippets. TESTIMONIAL from, Stacey Blake, Education Simplified. iPad is a trademark of Apple Inc., registered in the U.S. and other countries. © Education Simplified. 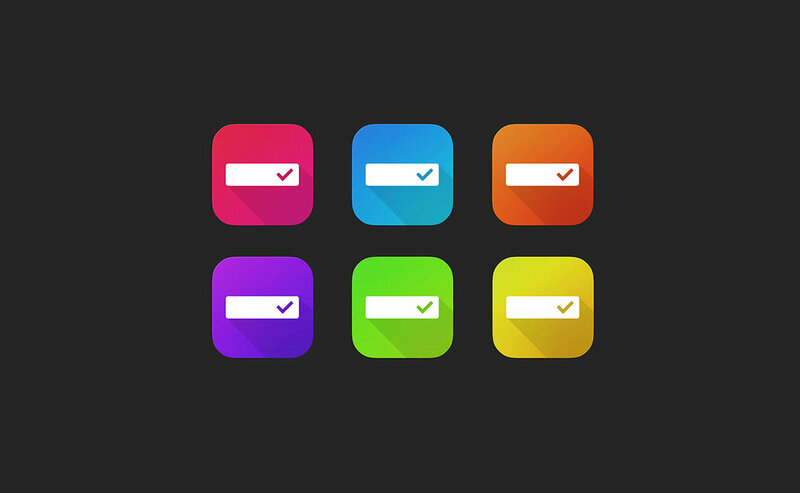 App designs are original artwork by Adam Marsh. All rights reserved.